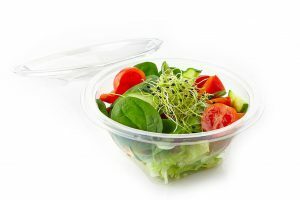 Plastic food containers are popular in homes, restaurants, and homeless shelters, among other places, because of their many benefits. These durable, versatile, and useful products can be used for meal preparation purposes, party takeaways, leftover storage, and more. 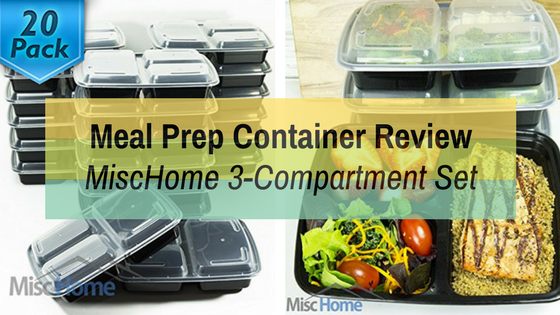 The MiscHome 3-compartment meal prep containers reviewed here are among the bestsellers in stores for these reasons, too. 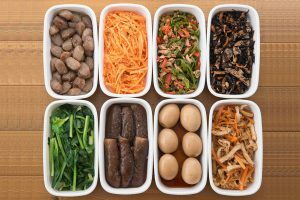 Let’s take a look at the MiscHome’s features and pros and cons so that you can make an informed decision about whether or not this set meets your needs in plastic food containers. 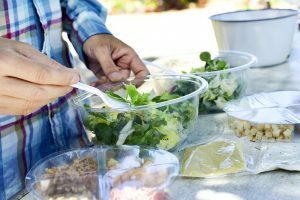 Since these containers are made from BPA-free, microwave-safe (without the lid), and freezer-safe plastic, there’s little danger of its chemicals leaking into the food. 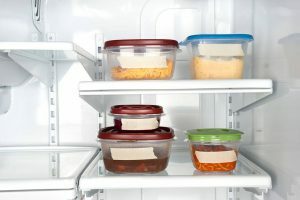 Just be sure to store food within the appropriate time and to clean the containers as soon as possible after emptying. These containers are reusable after cleaning them with soap and water by hand or washing them in the dishwasher. The three compartments are convenient for food storage. 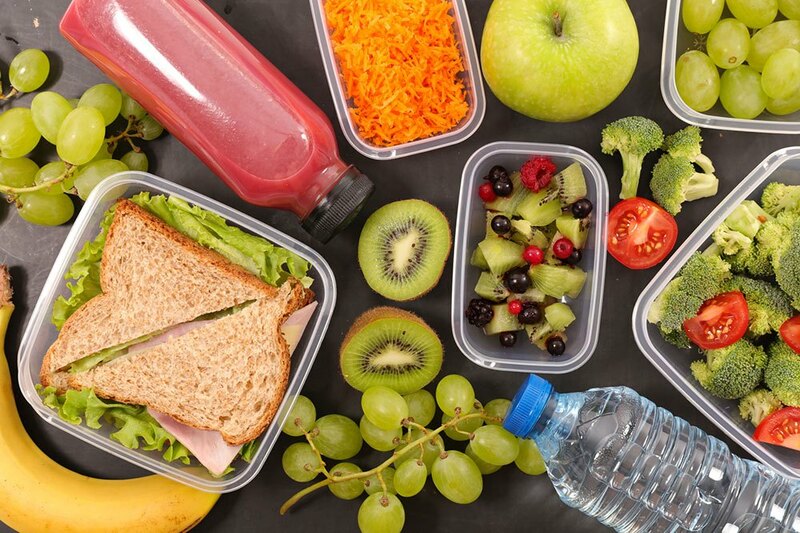 Each compartment can accommodate a different type of food, so the container can be used for storing a complete meal, such as for lunch and dinner. For example, a vegetable salad, a meat course, and slices of bread can be placed in the compartments – just open the lid and you have a complete meal, ready to eat. The plastic containers also have sufficient thickness for extra durability. These can withstand repeated use including cleaning in the dishwasher, nuking in the microwave, and storing in the refrigerator. These can even be dropped from a low height without breaking! The 20 plastic containers are also designed to be stackable. 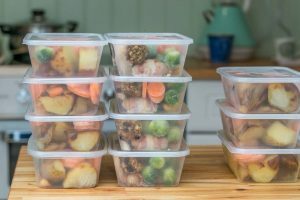 This is true whether these containers have stored food in them or not – just place them on top of each other, either to stack them (i.e., with food and lids on) or to nest them (i.e., without food and with the lids off). More importantly, these are the right size for placing in a standard backpack or bag. Each container can be placed on its own in a bag or stacked with others without worrying about breaking under the weight. Of course, it’s important to place several of these plastic food containers in a proper arrangement to reduce the risk of accidental spillage. The set of 20 MiscHome 3-compartment meal prep containers gives good value for the money spent. These are made of strong and sturdy plastic so they can be used and reused several times, perhaps even a few weeks or months before their proper disposal becomes necessary. 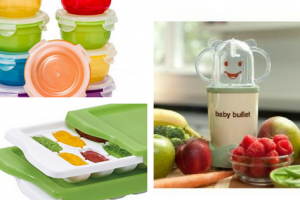 Their three compartments will definitely be useful in separating different types of food instead of getting them mixed together, which can be messy in appearance and in the mouth. 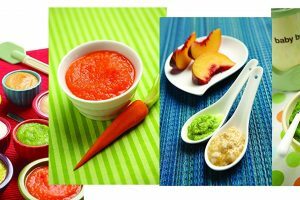 Indeed, there are several benefits that can be enjoyed from using these containers. But be careful when using these products, too, as plastic materials have their disadvantages. The lids, for example, aren’t microwave-safe, so be sure to remove them before placing the food container into the microwave. The containers should also be disposed of properly since plastic has adverse environmental impact when thrown away. In conclusion, MiscHome 3-compartment meal prep containers are useful in the way that these products should be. Your responsibility is to use them in a responsible and sensible manner. You should have an easy time at it if these aren’t your first plastic food containers.